BBC NEWS | Americas | How dangerous are networking sites? How dangerous are networking sites? The case has prompted new concerns over the potential dangers of online social networking sites. Websites like Facebook, Bebo, Twitter and others have come to be seen as an essential part of life for millions of people. They enable users to share their lives with friends around the world, and get in touch with people with similar interests. And, perhaps more importantly, they give people an engaging way of wasting time and socialising without the inconvenience of leaving their computers. With 120 million active users on Facebook alone, there is certainly a wide social networking world to discover. But for all those people for whom networking sites are a harmless time-waster, there are, as in all parts of society, some who use it for more malicious purposes. For 13-year-old Missouri girl Megan Meier, the bullying she received through MySpace, which she believed was coming from a boy in the neighbourhood, appears to have driven her to take her own life. In fact, while Megan thought she was being abused by 16-year-old Josh Evans, she was actually talking to Lori Drew, the 49-year-old mother of one of her former friends who, it is alleged, had set up a fake profile to taunt Megan. 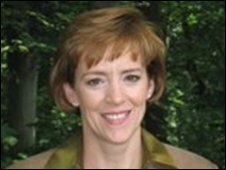 Ms Drew is now standing trial on computer fraud charges. Marsali S Hancock, president of the US-based Internet Keep Safe Coalition, says that "by far the biggest danger of social networking sites is that a child will connect with someone that could be potentially harmful". Ms Hancock said that if there was anything to learn from the tragic Missouri case, "it's that parents need to be involved and need to follow guidelines". She believes their children should not be using such sites at all, but also encourages parents to keep up to date with technology, so they know what their children are doing online. 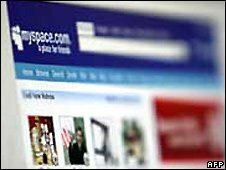 The coalition has worked with MySpace to produce a series of short online films showing children and their parents how to use social networking sites safely. "Helping parents know how to recognise digital safety is a struggle," says Ms Hancock. "Parents need to recognise the impact of what their child is experiencing online". Although they are particularly vulnerable, it is not just children who face dangers on networking sites and it is not just playground bullies who exploit the freedoms they offer. "MySpace, Facebook and YouTube are the 'killer apps' of the internet today, and they're used by millions," said Christopher Wolf, chair of the International Network Against Cyber Hate (INACH). "But the virus of hate certainly has infected those technologies." Speaking at the Global Summit on Internet Hate Speech in Washington, Mr Wolf warned that the "internet toolbox that is available to hate-mongers has had a number of new items added to it over the last several years". He said that with the rapid development of the internet, "every aspect of the internet is being used by extremists of every ilk to repackage old hatreds and to recruit new haters". "On YouTube, for example, there are thousands of hate videos that are uploaded with messages of racism, anti-Semitism, homophobia and intolerance towards minorities." Wolf acknowledges that such material is prohibited by the terms of most networking sites but says the amount is overwhelming. "For every site that we can report and get taken down there is at least one other site to replace it and often many others," he said. Social networking sites have certainly grabbed media attention, particularly when they go wrong for the users. 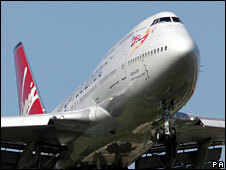 In October 2008, Virgin Atlantic sacked 13 members of its cabin crew for bringing the company into disrepute after they posted derogatory comments about customers on Facebook. And an Israeli soldier was dismissed over an image he posted online, at a time of concern about possible security risks. Technology experts continually warn that personal details posted online - date of birth, mother's name, pet's names - can be used by fraudsters for identity, and then financial, theft. But perhaps most worryingly, Ms Hancock says many users do not realise that they add to a permanent "online reputation" every time they post a comment, a picture or a link online. This could affect them for life. If an employee or university searches for two otherwise identical applicants online, for example, "the one with the best online reputation will get the opportunity". For all the concerns, social networking sites remain popular, fun and, for the majority of careful users, safe. But experts warns that as each site takes steps to protect its users and remain within the law, there is always someone ready to take advantage of any lapses in judgement. No-one, and especially children, "should ever have the impression that what they do online is private", says Ms Hancock.